View More In Swags - Page 2. 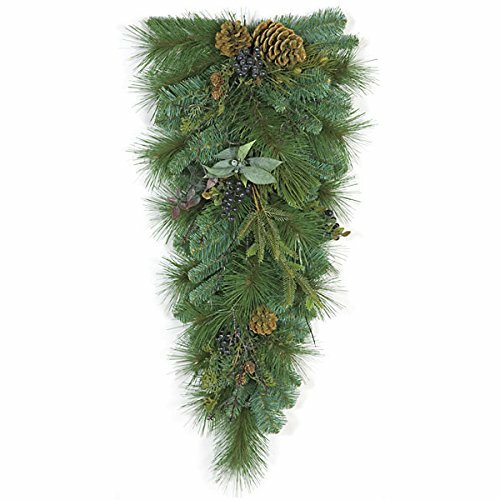 Beautifully made, this artificial blue spruce teardrop swag is perfect for any upcoming event or home and office decor. High quality christmas swags & teardrops which can be displayed forever with no maintenance required. If you are unhappy with your purchase for any reason please let us know and we will do everything possible to fix it. Actual size after shaping: Height - 28", Width - 15"